Contoured shape for form-fitting comfort. Soft, cloth-like inner and outer material. Acquisition layer absorbs fluid into the core. 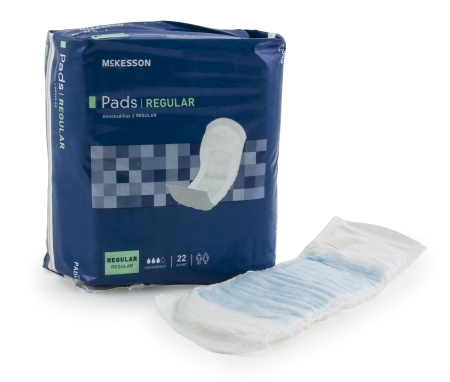 Ultra absorbent polymer locks wetness away and reduces pH of urine for advanced odor control and skin wellness. Leg gathers provide added leak protection. Full length, secure-fit, adhesive peel strip. Individually wrapped in quiet, cloth-like packaging for on-the-go convenience.